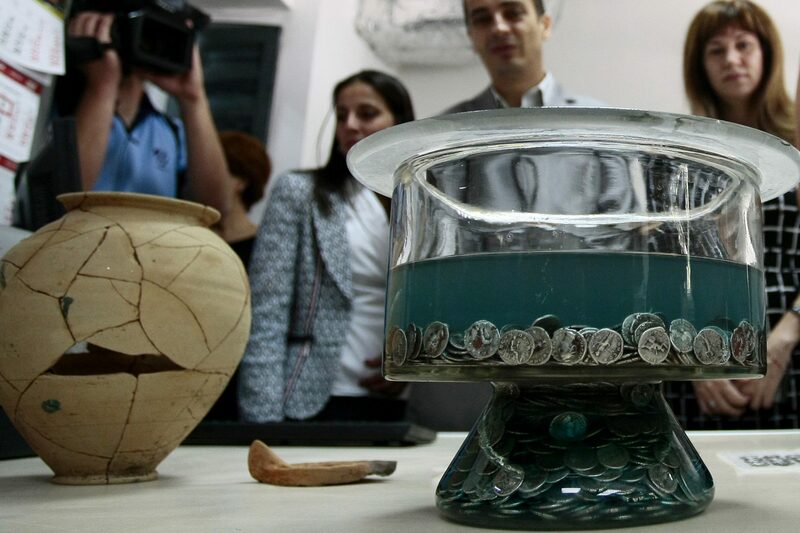 The silver coin treasure has been found hidden inside a ceramic vessel with a lid in the structures from Ancient Serdica which are being excavated on the square near the St. Nedelya (“Holy Sunday) Cathedral and the Hotel Balkan (formerly the Sofia Sheraton) as part of the efforts for the further study of the Thracian and Roman city and its partial archaeological restoration. The excavations are being carried out by a team led by archaeologist Assist. Prof. Veselka Katsarova from the National Institute and Museum of Archaeology in Sofia. 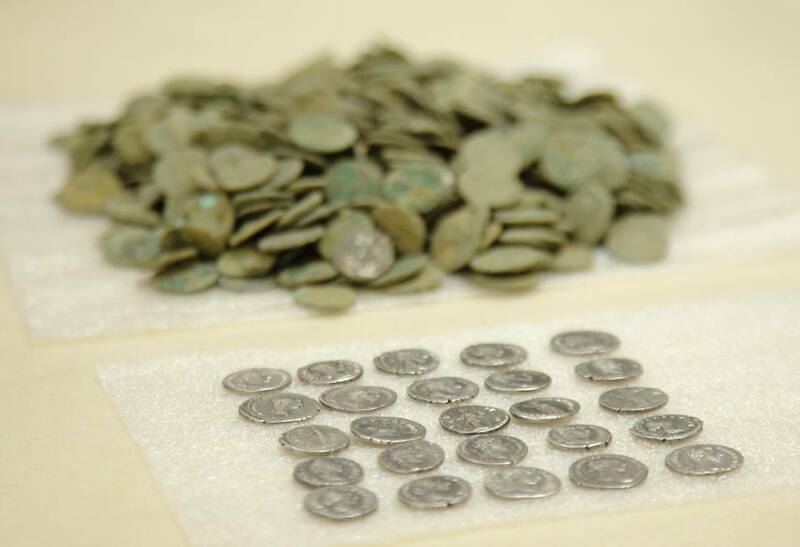 The treasure of silver coins is the largest collective coin treasure to have ever been found during the excavations of Ancient Serdica, Sofia Municipality has announced. 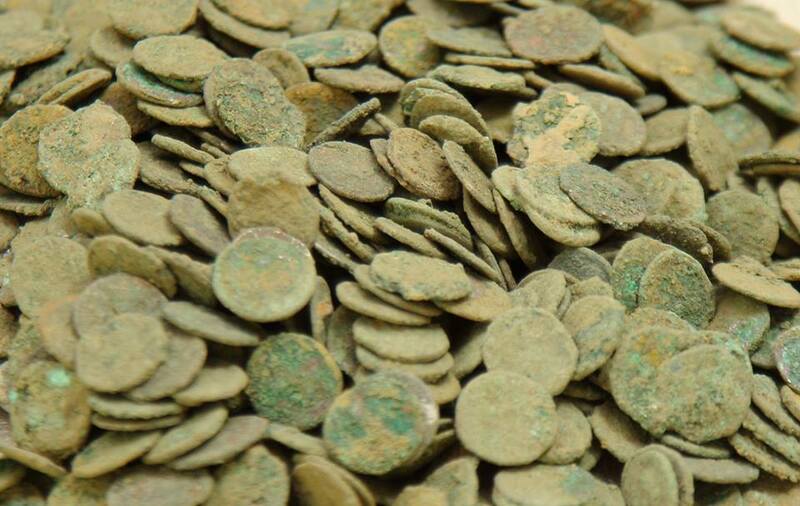 The coins in question were collected for a period of at least 100 years since the earliest ones are coins of Roman Emperor Vespasian (69-79 AD), and the latest – coins of Emperor Commodus (r. 177/180-192 AD). There are also coins that feature almost all of the other Roman Emperors inbetween and some of their wives, daughters, or sisters, from the Nerva-Antonine Dynasty (r. 96-192 AD) – including Emperor Nerva (r. 96 – 98 D), Emperor Trajan (r. 98-117 AD), Emperor Hadrian (r. 117-138 AD), Emperor Antonius Pius (r. 138-161 AD), as well as Vibia Sabina (wife of Emperor Hadrian), Faustina the Elder (wife of Emperor Antonius Pius), Faustina the Younger (daughter of Emperor Antonius Pius and wife of Emperor Marcus Aurelius), Bruttia Crispina (wife of Emperor Commodus), and Lucilla (daughter of Emperor Marcus Aurelius and elder sister of Emperor Commodus). The discovery of the Roman silver coin treasure from Serdica is especially interesting because on the outside of the ceramic vessel containing the coins its (last) owner scratched their name – Selvius Calistus, apparently a Roman citizen with a Greek surname. 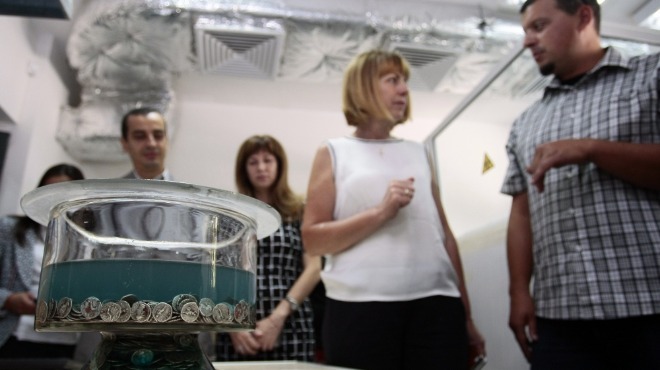 Together with the ceramic vessel containing the Ancient Roman silver coins, the archaeologists have also found an ancient clay lamp, archaeologist Snezhana Goryanova, who is the deputy head of the excavations on the St. Nedelya Square, has told the Focus news agency. She points out that the entire find – and especially the fact that the owner’s name is recorded on it – is especially exciting. “It is a very emotional moment to see that what you have found is not anonymous but was owned by a specific person who has a name and history. According to our colleague Sharankov (Nikolay Sharankov from the Classical Philology Department of Sofia University “St. Kliment Ohridski" – editor’s note), the name of this treasure’s owner was Selvius Calistus. It is also possible that the owner may have been a woman because some parts of the inscription are missing," Goryanova explains. She adds that the vessel itself containing the silver coin treasure was found in Late Antiquity archaeological layers, i.e. the layers dating to the 3rd, 4th, and even the beginning of the 5th century AD but the treasure itself was certainly collected during the 1st and the 2nd century AD. 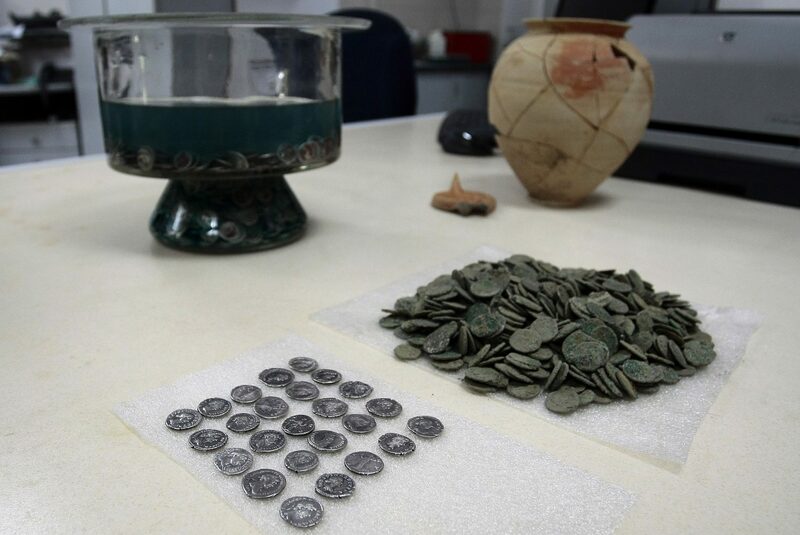 The silver treasure and the pottery vessels discovery with it have been taken to the National Institute and Museum of Archaeology of the Bulgarian Academy of Sciences where experts are working on their further examination and restoration. Once they are done, the finds will be exhibited in the future Museum of Sofia History which is to be formally opened on September 17, 2015, in the former public bath building no far away from the excavation site. “This [discovery] is an incredible chance to tell the history of the city of Sofia, and to enrich the museum. 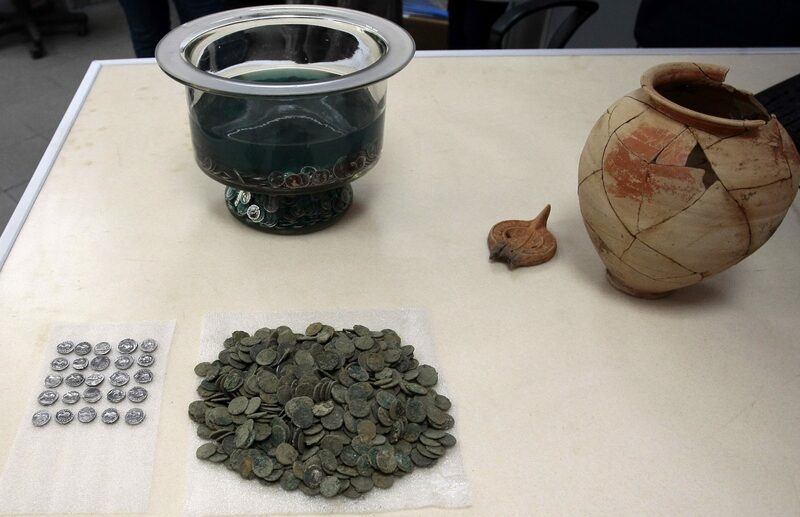 Let us demonstrate that in the 1st, 2nd, and 3rd century Serdica was a very rich city with residents who could afford to amass such valuable treasures," Deputy Sofia Mayor, archaeologist Todor Chobanov, has told the Bulgarian National Radio.